The structure of this instrument is made of burnt clay. It is cylindrical in shape with left side being wider than right. This hollow shape is tappered from left to right decreasingly. 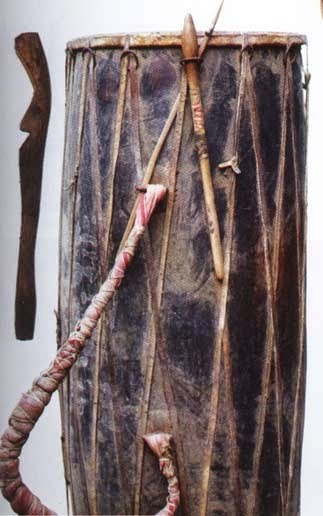 Bullock skin is used for covering the left side and the goat skin is used for covering the right side. Single instrument s is played by one man. 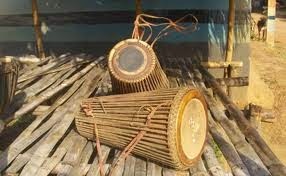 This instrument is used at all social events except during the death rituals. 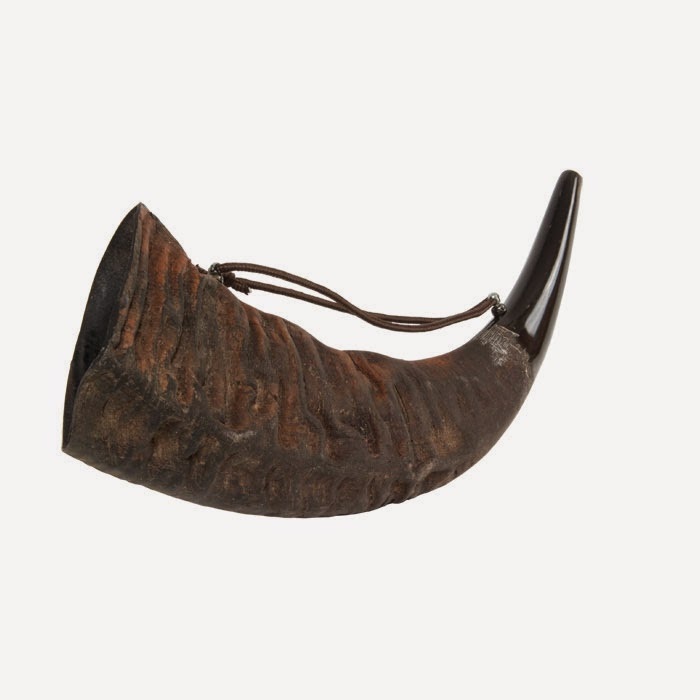 It is a trumpet made of bufallo's horn or antelopes horn. 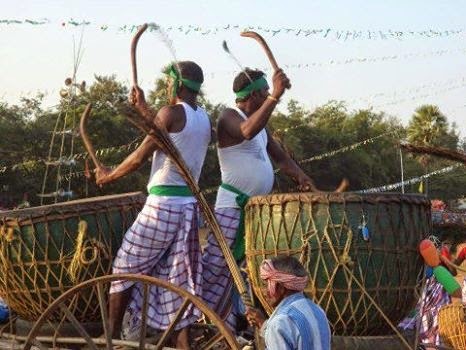 This is used exclusively during the baha & mag mane (both religious festival) and at Sendra Bir (mass hunting). Banam can either be made from a solid wooden block or can be prepared by joining differnet parts. Banam made of wooden is broader at one end and narrower at the other end. The narrower side is used as handle. 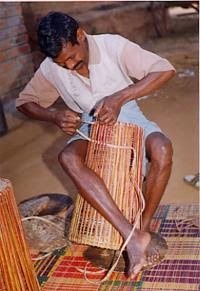 Threads made of long hairs of horse is used to join both the ends. The broader end is made hollow and covered with thin leather. 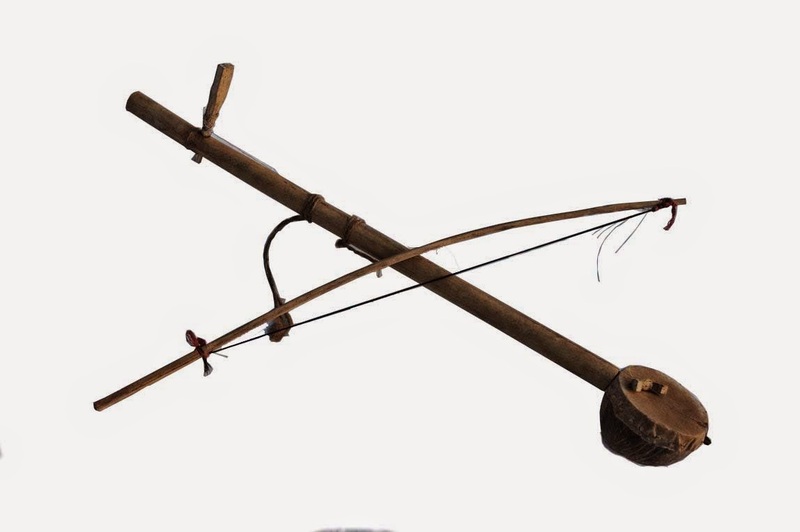 A stick is tied with the horse hair thread to make a small bow and is held in right hand. 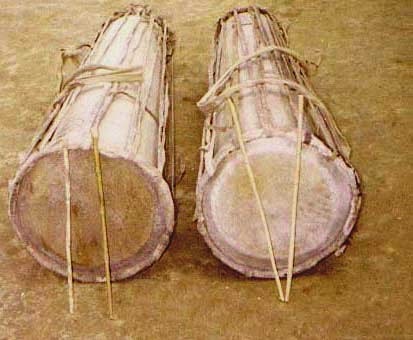 The wooden part is held in left side and it is played with the string held in right hand. Salga gum is pasted at the side of the wooden part which is applied to the theads of horse hair for generating necessary friction. 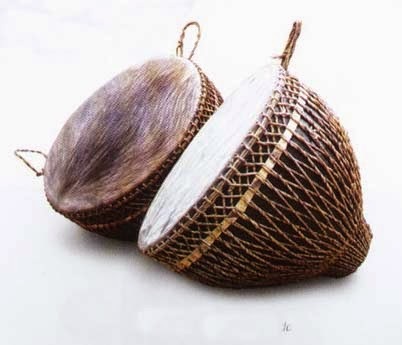 Coconut shell is also used as substitute to the wooden block. This can accompany any song. 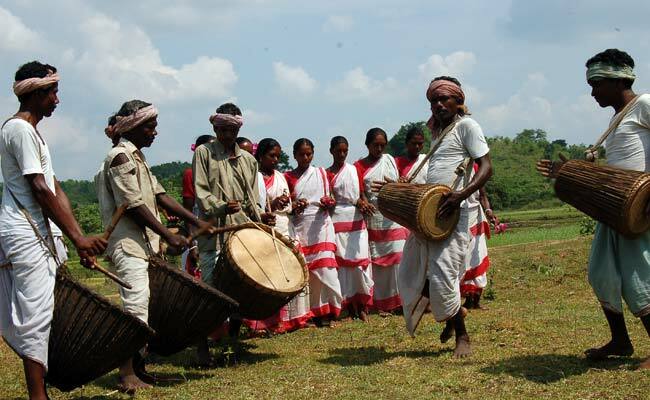 Santal girls while playing Banam. This is made of a narrow hollow bamboo. Its best size ranges from four hundred fifty to six hundred fifty mm in length and twenty to twenty five mm in diameter. Both or one side may be open. 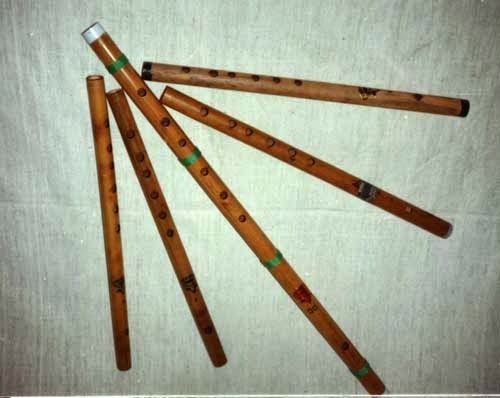 A Triya has five circular holes on the surface one being for air blowing purpose and the other four (closely situated) for controlling the flow of air for different notes.